Clever, modern use of rhyme tells the uplifting story of a boy, who having moved from the countryside to the city, feels isolated and alone. At first only the negative aspects of city life present themselves to him, until he takes time to look and appreciate the more positive things city life has to offer. 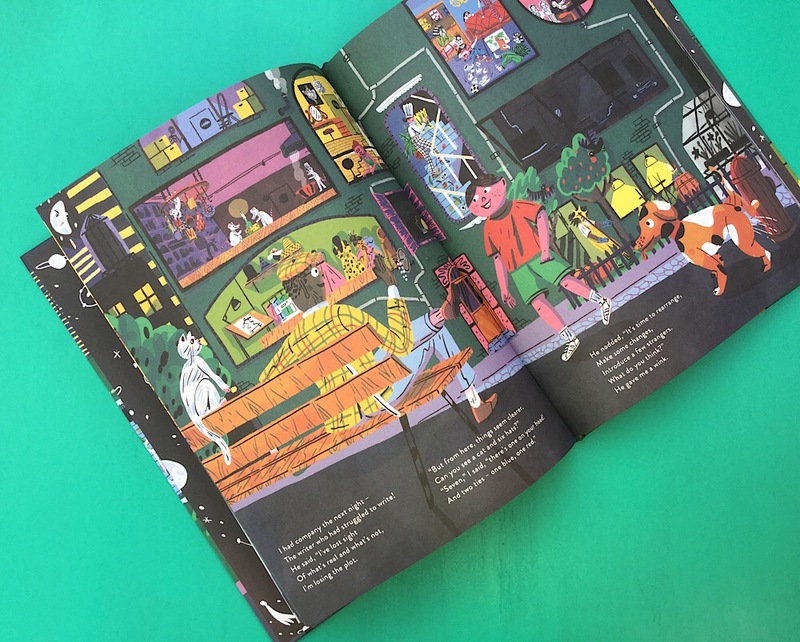 The colourful, vibrant illustrations perfectly visually communicate firstly the hustle and bustle of a city being something alien and scary, then how that same busy bustle becomes something friendly and welcoming. Not only a heart warming story with bold, striking artwork there is also a search and find element. I had great fun spotting all the things the boy describes as he sits and looks at the night windows. Wonderful!